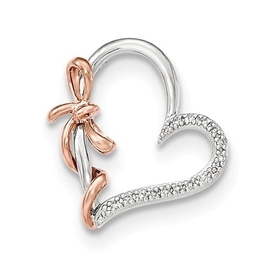 Pretty 14k Rose gold diamond motion style pendant. Featured diamond is a 1/5ctw and this romantic pendant measures about 12mm top to bottom by 11.5mm across. Diamond moves with the slightest motion.